Marian is our host this weekend with just one word to inspire our poetry: sensation. Posted in Poems. Tagged Chill, Imaginary Garden with Real Toads, Just One Word, Poetry Pantry, Poets United, Sensation. Intimate winter trees…. beautiful phrasing! Trees are living things and make good friends. Yes, the trees are so patient, waiting, waiting. I wish to be so patient. Winter’s chill is well described, but so is the feeling of warmth that those familiar trees keep at the heart of their patience. I love those trees. They are some of the most stunning. 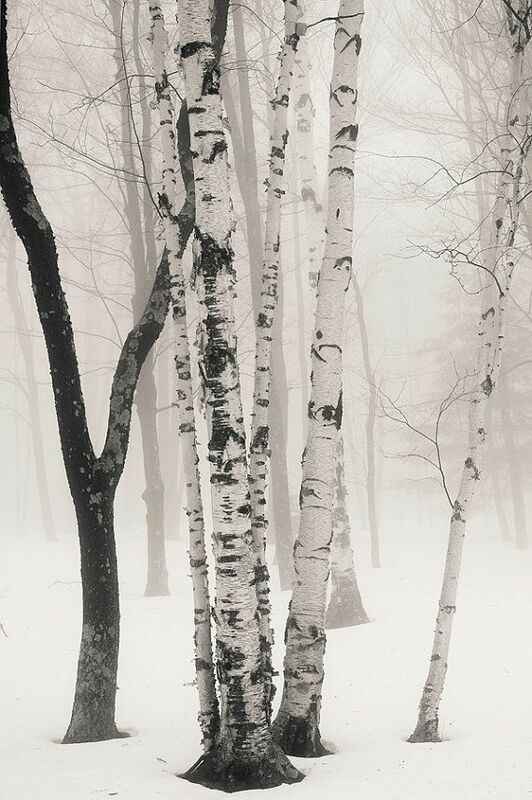 I saw the birch trees even before I saw the image… there is something so special with white trunks in snow. The image you chose matches your poem ~ beautifully. It is amazing how they withstand. Beautiful poem and photo of winter trees. Lovely and shivery…and now I want to know what they’re waiting for. It feels like something worth enduring for. How the anticipated arrival of spring is longed for when cold nights persist. Your words say it all. Kim! Oh yes, they wait for spring; as do we all! I can only imagine how they must feel out in the harsh wind sometimes feeling the chill on their branches. So bare and barren. I empathize and share the same wait with them. I never considered how a tree may feel in severe weather. This got me thinking and now I feel so badly for them. May Spring come soon. They look so beautiful in their spring and autumn attire! Winter is one of my favourite seasons, along with Spring, Autumn and Summer. Clearly, they have their own beauty. I almost want to wrap these trees in warm woolly coats. A beautiful write. I’ve seen some trees in great woolly jumpers. Thank goodness for Ninja knitters! Stoic trees are most unlike humans that must always be on the move; but stay where they are and endure whatever they are tested with, and hoping their children can find somewhere safe place to put down their roots. Yes, this is a most beautiful write Kim. Love the splendid title you bestowed upon this beautifully rendered piece. I like the white birches but we don’t have them here along the Texas Gulf Coast. So you are jogging my memories of Colorado and New Hampshire. I have no idea of why some trees survive the winters and others don’t. Last year we lost two large bottle trees. I love the resilience of trees. The phrase “intimate winter trees” brings such wondrous images into my mind. It makes winter warm, trees alive… It creates a sort of closeness that grows. Oh yes, Magaly! The closeness of a copse, wood or forest, and all the trees whispering together, telling stories and reciting poetry to get them through winter. I’m sure the trees in our garden do. Yes, intimate winter trees…They huddle close to one another speaking spring into the frigid air they shiver in. I think that’s where the morning mist comes from – tree breath.